Want to stay in New Zealand a little longer? If you are a UK citizen already in New Zealand with a working holiday visa, you can extend your 12-month visa to 23 months. In order to do this you simply need to manually fill out an application, get the relevant medical check, and send the application to Immigration NZ. This is a great way to spend more time in the country, while working to fund your travels. Here is our guide to applying for a working holiday visa extension if from the UK. Not from the UK? check out: How to Extend Your Working Holiday Visa. The application form and medical check for a 23-month working holiday visa. Understandably, you want to stay in New Zealand longer. Our guide will cover the following items to help you extend your working holiday visa. The conditions for the 23-month working holiday visa. How to get the medical certificates. Where to send the application. The conditions on Extending your working holiday visa. Even on a 23-month visa, you cannot work more than 12 months in total. You cannot take up permanent employment (this requires a work visa, which you can still apply for in NZ). You can enrol in courses/training/study for no more than 6 months. Your 12-month working holiday visa must still be valid when applying for the extension. You must pay tax when working – New Zealand Work Tax System: Work and Pay Your Taxes. Note: A UK citizen can apply for a 23-month working holiday visa before they enter New Zealand. This application must be filled out online using the Immigration NZ website. For more information on applying for a working holiday visa online, visit: How to Get a Working Holiday Visa. First of all, you need to print out the Working Holiday Scheme Second Work Visa Application (INZ 1223) form from this website or pick it up from an Immigration NZ branch. 2 passport photos taken in the last 6 months. The size must be 4.5cm high and 3.5cm wide. You can get these taken in a pharmacy usually costing around NZ$20 for 8 photos. Some form of payment. Either bank cheque, personal cheque, credit card (Mastercard or Visa), or UK SWITCH card. Or you can pay in person with EFTPOS at an Immigration NZ branch. The General Medical Certificate (INZ 1007) and Chest X-Ray Certificate (INZ 1096). Or a note from the medical centre outlining that the evidence has been sent online. Evidence of an up-to-date bank statement showing you have sufficient funds for your stay in the country. This is $350 per month that you plan to stay. Plus, evidence of a return travel ticket or sufficient funds to purchase a travel ticket. Personal details – full name, passport details. Contact details – home country address, contact in NZ, address for correspondence on this application – should be your current NZ address. 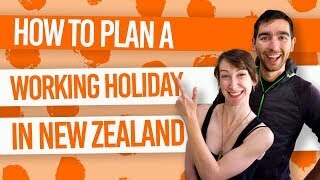 Travel plans – date of arrival in NZ, approx date of departure, arrangements you have made for departure (if you have not booked a flight, explain the arrangements that you are planning to make). Your character – same as 12-month visa questions about criminal and immigration convictions. Your health – asking do you have TB, pregnant, serious health conditions and details of the medical certificates you have provided. The next part is for your immigration advisor to fill out, if you have used one. If you have used an immigration advisor, they must be licensed or the application will be returned back to you. Last of all, it asks you for your payment details. The cost of the application is NZ$208. Remember to tick the relevant box as to whether you’ll pick up your documents from the office or get them delivered by secure post. *Note that these forms are usually sent by the medical centre electronically to Immigration New Zealand. You can get these by attending an immigration medical at a medical centre in NZ. Rates can range from NZ$240 – NZ$500. Remember to take your passport and your credit card to the medical centre. The immigration examination includes: chest x-ray, checkup on eyesight, blood pressure, family’s health, urine sample, blood sample, and examination checking for lumps and reflexes. All in all, nothing to be worried about. Once your examination is done you will either receive the certificates or they will be sent to Immigration NZ. In the latter case, you will receive an email once the results have been sent to Immigration NZ. You must provide certificates within 15 days of applying! On the Immigration NZ website there is an office finder to find the address of your nearest Immigration office to either send the application by post or hand it in in-person. Note, if sending in the mail, we recommend tracking your parcel. It’s worth paying the extra couple of dollars to know that your important documents have arrived safely! Then congratulations! You have just applied to extend your visa. We don’t blame you. If you are 30 years old when you apply for your working holiday visa, consider applying for the 23-month visa before you enter NZ, as you can not extend this once you are over 30. Shop around for immigration medical examination. There is a huge difference in price from medical centre to medical centre, so it is worth comparing prices to save a lot of money! Don’t leave applying for a visa extension until the last minute! One of the conditions is that you must have a temporary visa still valid.